Ebony, with Leather Wrap, and 6 Scalloped White Micarta Diamonds. 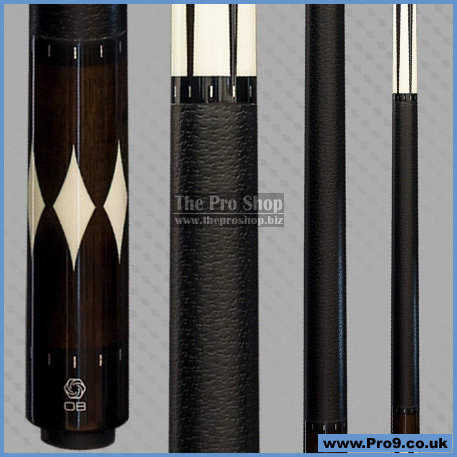 The OB-170 pool cue features an Ebony Forearm with 6 White Micarta Points, Black Leather Wrap, Ebony Sleeve with 6 Scalloped White Micarta Diamonds. 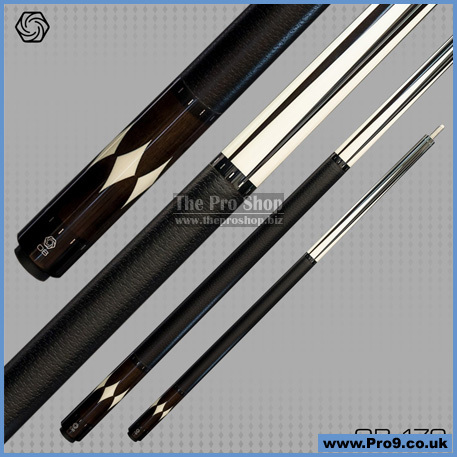 This cue also features a solid core that is straighter, stronger, more stable and stiffer. This means that your cue will be built straight, stay straight and hit great. This cue also has a unique balance system. Our cues are weighted to create an evenly balanced cue with feedback that is both crisp and lively. It really has to be felt to be appreciated. Custom feel in a production cue.